Acute limb ischaemia is defined as the sudden decrease in limb perfusion that threatens the viability of the limb. Complete or even partial occlusion of the arterial supply to a limb can lead to rapid ischaemia and poor functional outcomes within hours. In this article, we shall look at the causes, clinical features and management of a patient with acute limb ischaemia. Acute limb ischaemia is often characterised by a sudden onset of these symptoms. A normal, pulsatile contralateral limb is a sensitive sign of an embolic occlusion. In the history, the causes of potential embolisation should be explored. These include chronic limb ischaemia, atrial fibrillation, recent MI (resulting in a mural thrombus), or a symptomatic AAA (ask about back/abdominal pain) and peripheral aneurysms. The later the patient presents to a hospital, the more likely that irreversible damage to the neuromuscular structures will have occurred (more common >6hrs post-symptom onset), which will ultimately result in a paralysed limb. The differential diagnoses for acute limb ischaemia include critical chronic limb ischaemia, acute DVT (can present as Phlegmasia cerulea dolens and Phlegmasia alba dolens), or spinal cord or peripheral nerve compression. Routine bloods, including a serum lactate (to assess the level of ischaemia), a thrombophilia screen (if <50yrs without known risk factors), and a group and save, should be taken, along with an ECG. Suspected cases should be initially investigated with beside Doppler ultrasound scan (both limbs), followed by considering a CT angiography (Fig. 2). If the limb is considered to be salvageable, a CT arteriogram can provide more information regarding the anatomical location of the occlusion and can help decide the operative approach (such as femoral vs. popliteal incision). Acute limb ischaemia is a surgical emergency. 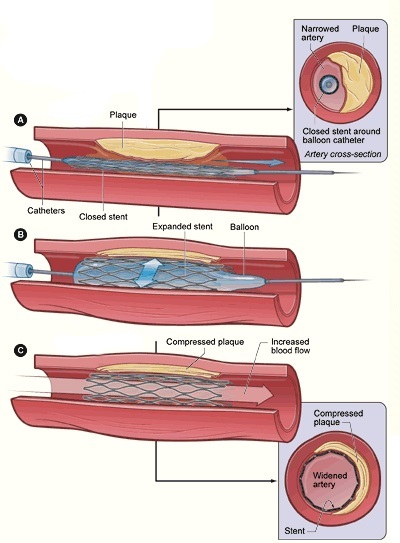 Complete arterial occlusion will lead to irreversible tissue damage within 6 hours. Early senior surgical support is vital. Start the patient on high-flow oxygen and ensure adequate IV access. A therapeutic dose heparin or preferably a bolus dose then heparin infusion should be initiated as soon as is practical. Conservative management can often be considered those Rutherford 1 and 2a; a prolonged course of heparin may be the most effective non-operative management of acute limb ischaemia. Any patient started on conservative management via heparin will need regular assessment to determine its effectiveness through monitoring APPT and clinical review. Surgical interventions may be warranted if no significant improvement is seen. 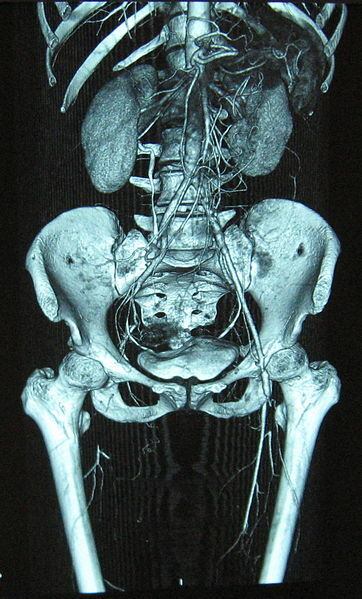 Irreversible limb ischaemia (mottled non-blanching appearance with hard woody muscles) requires urgent amputation or taking a palliative approach. Most post-operative cases require a high level of care, typically at a surgical high dependency unit, due to the ischaemia reperfusion syndrome. 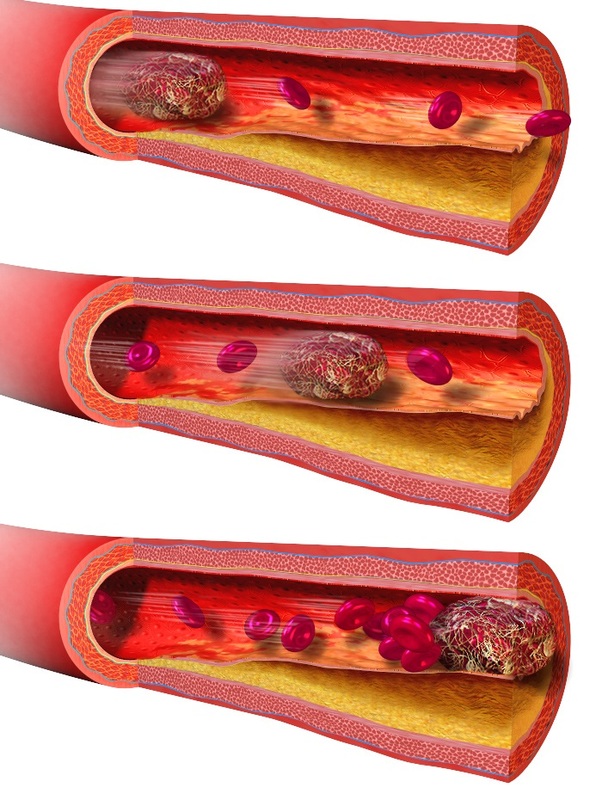 Reduction of the cardiovascular mortality risk in this patient group is key. Promoting regular exercise, smoking cessation, and weight loss as necessary. Most cases should be started on an anti-platelet agent, such as low-dose aspirin or clopidogrel, or even anticoagulation with warfarin or a DOAC. Any underlying predisposing conditions to the acute limb ischaemia should be treated, e.g. uncontrolled AF. Cases resulting in amputation will require occupational therapy and physiotherapy, with a long term rehabilitation plan discussed and transfer to an intermediate rehabilitation centre. Acute limb ischaemia has a mortality rate of around 20%, with the 30-day mortality rate following the surgical treatment of acute limb ischaemia at 15%. It is imperative that patients at risk of compartment syndrome are closely monitored and rapidly treated. Electrolyte imbalance due to reperfusion injury requires close monitoring and potentially haemofiltration. Which of the following is NOT a risk factor for acute limb ischaemia? Which is the suitable severity grade for a patient presenting with minimal sensory loss, no motor deficit, and inaudible arterial doppler? A patient has been treated successfully for acute limb ischaemia via embolectomy, having symptoms for 3 hours before treatment. On the ward, she becomes haemodynamically unstable and an ECG shows VT. What electrolyte should be checked immediately, given the history?